Have you ever found yourself struggling in life? 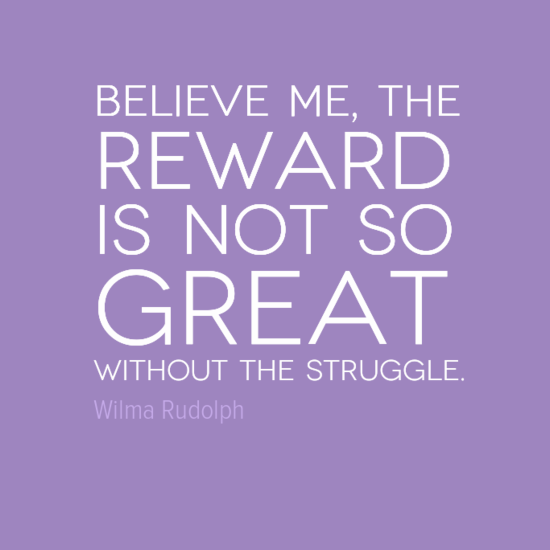 Discover the amazing and inspiring story of Wilma Rudolph. Wilma Rudolph was born prematurely in Saint Bethlehem, Tennessee in the USA in June 1940. Weighing just 4.5 pounds (2kg) at the time of her birth she was the 20th of 22 children from two marriages. Rudolph was an amazing track and field athlete. At the 1960 Rome Olympics she claimed a staggering 3 gold medals winning the 100m, 200m and 4 x 100m. As a result she became known as the fastest women in the world. What makes her achievements even more impressive are the barriers that she overcame during her life. At the age of 4 Rudolph contracted polio and had to wear a brace on her left leg and foot for 5 years. She also survived bouts of scarlet fever. Even these serious illnesses could not stop Rudolph. At the age of just 16 she represented the USA at the 1956 Melbourne Olympics – winning a bronze medal in the 4 x 100m. Just 4 years later she would win 3 gold medals at the 1960 Rome Olympics. She retired from track and field at the age of 22 and went on to pursue a career as a teacher, sports coach and sports commentator. Among her many awards, Rudolph was voted United Press Athlete of the Year 1960 and Associated Press Woman Athlete of the Year for 1960 and 1961. She was inducted into the U.S. Olympic Hall of Fame in 1983, honored with the National Sports Award in 1993, and inducted into the National Women’s Hall of Fame in 1994. Help! Why is this job being re-advertised?